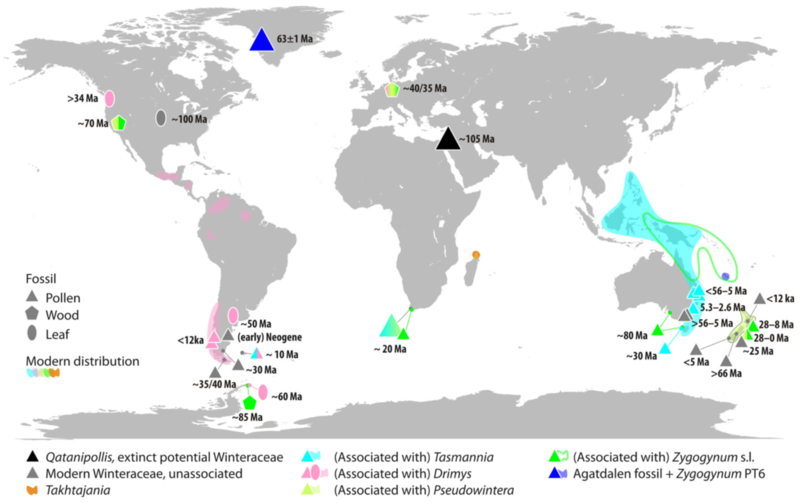 The fossil record provides good evidence for the minimum ages of important events in the diversification and geographic spread of Asteridae, with earliest examples extending back to the Turonian stage of the Late Cretaceous (~89 million years ago [Ma]). 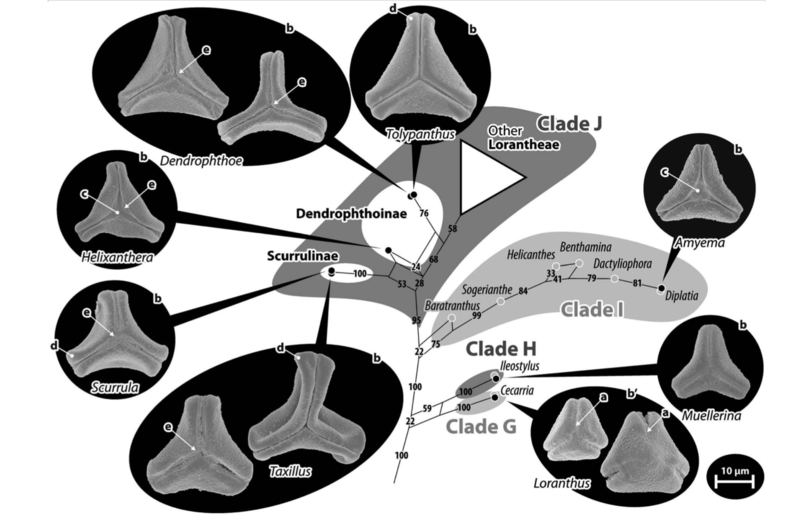 Some of the fossil identifications accepted in previous considerations of asterid phylogeny do not stand up to careful scrutiny. 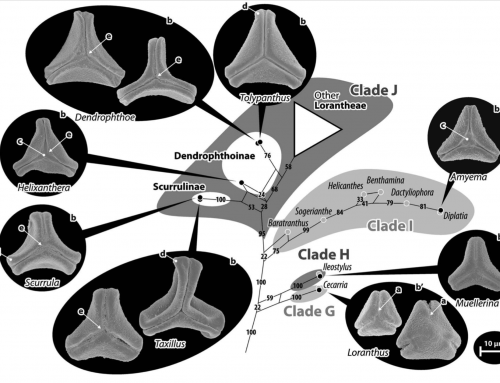 Nevertheless, among major clades of asterids, there is good evidence for a range of useful anchor points. 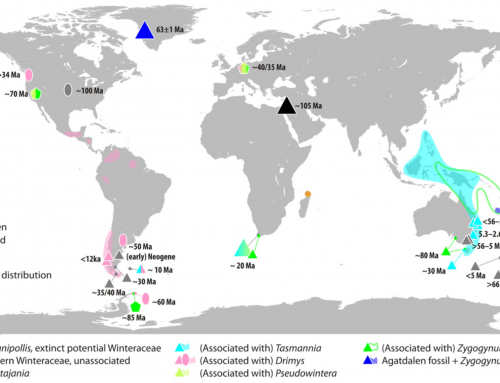 Here, we provide a synopsis of fossil occurrences that we consider reliable representatives of modern asterid families and genera. 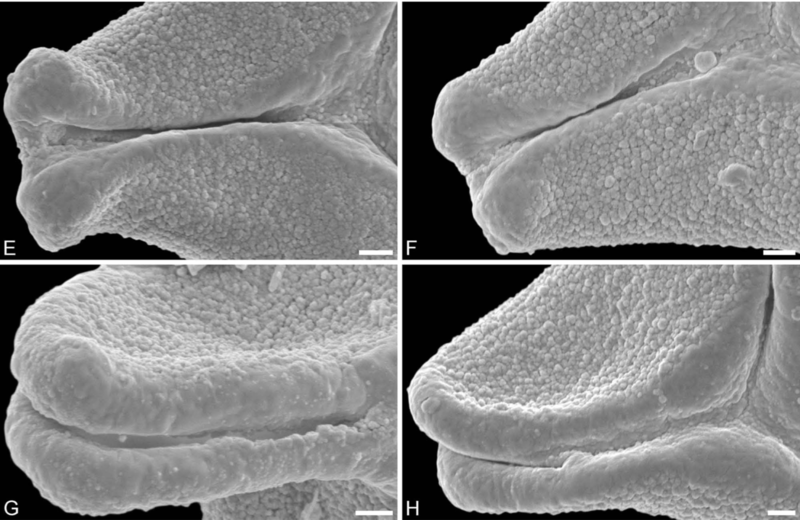 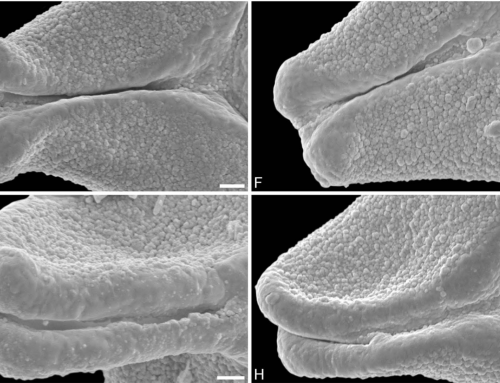 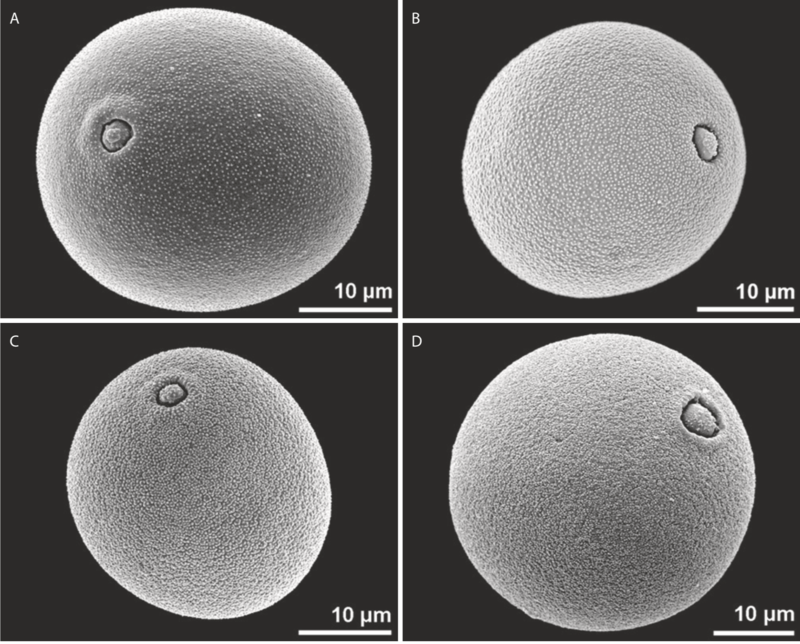 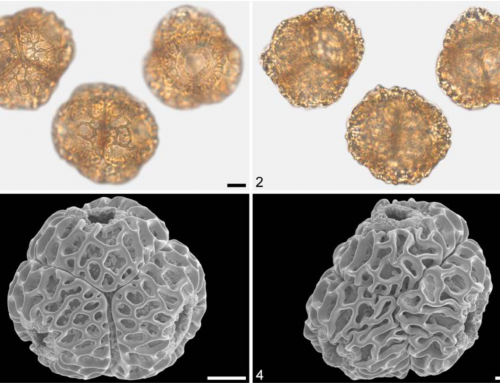 In addition, we provide new examples documented by fossil-dispersed pollen investigated by both LM and SEM studies including representatives of Loranthaceae, Amaranthaceae, Cornaceae (including Nyssa L., Mastixia Blume, Diplopanax Hand.-Mazz. 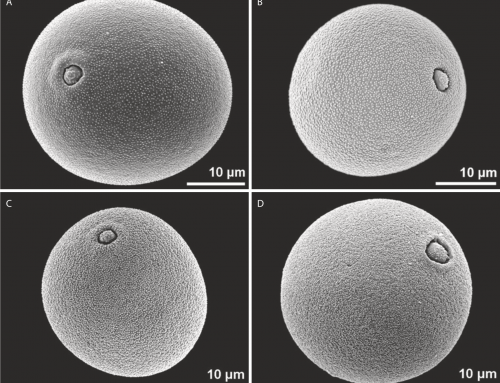 ), Sapotaceae, Ebenaceae, Ericaceae, Icacinaceae, Oleaceae, Asteraceae, Araliaceae, Adoxaceae, and Caprifoliaceae from Paleogene sites in Greenland, western North America, and central Europe, and of Lamiaceae and Asteraceae from the Middle to Late Miocene in northeastern China. 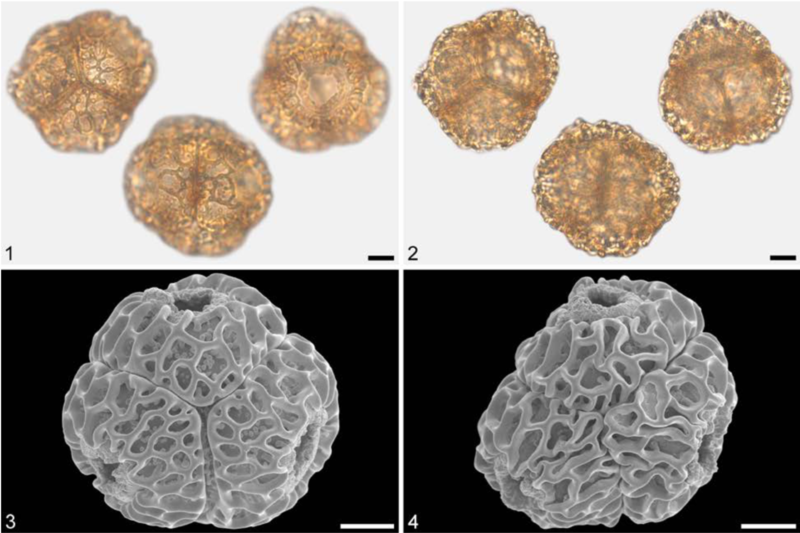 We emphasize that dispersed pollen, taken along with megafossil and mesofossil data, continue to fill gaps in our knowledge of the paleobotanical record.